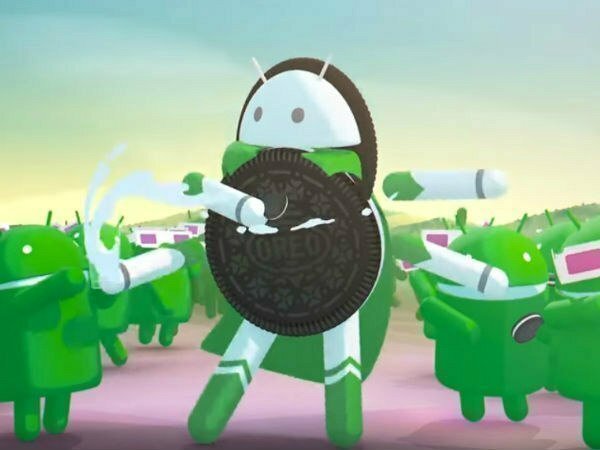 All the smartphone manufacturers are gearing up to update their devices to Android 8.0 Oreo. Samsung is one of them and the users are definitely waiting for their smartphone to get the latest iteration of Android. 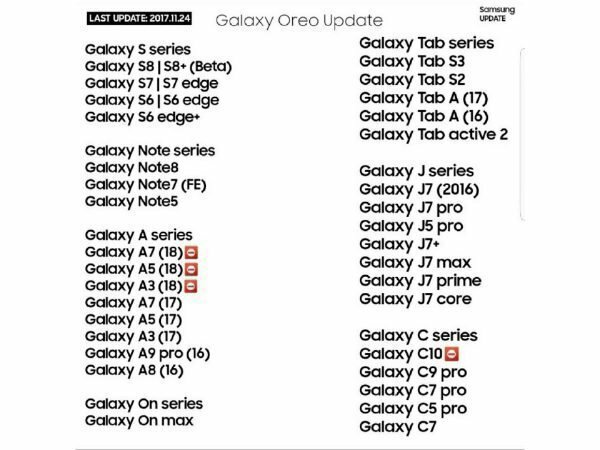 While you might be eager to know when your Samsung mobile will get the Android Oreo update, a leaked image shows a list of smartphones from Samsung those will get the chance to relish the Oreo flavor. 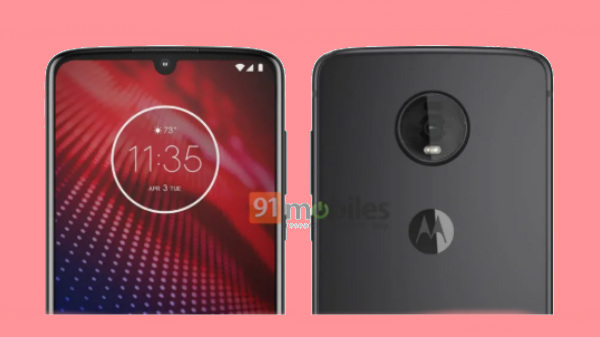 This image has been leaked on Weibo by a reliable tipster and spotted by AndroidOS. The leaked image shows that the 2015 flagships - Galaxy S6, Galaxy S6 Edge and Galaxy S6 Edge+ will get the Oreo update. 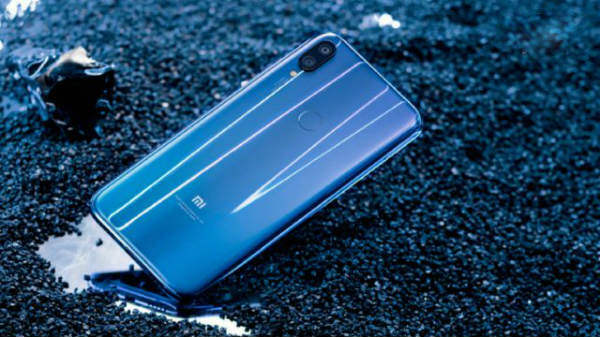 And, it is likely that the Oreo update will be last major Android update that will be rolled out to these phones. Given that the existing flagship smartphones - the Galaxy S8 and Galaxy S8+ received the Android 8.0 Oreo beta program in select regions and that the second beta firmware was rolled out a few weeks ago, we can expect these phones to receive the Oreo update in early 2018. Also, the Galaxy Note 8, Galaxy Note FE and Galaxy Note 5 will receive the latest Android flavor. Furthermore, the image reveals that the original Galaxy A3, Galaxy A5 and Galaxy A7 launched in 2015 have the possibility to receive the Android Oreo update. Even the Galaxy On Max will get the update while the others in the lineup seem not to have the chance to get updated. The Galaxy C series smartphones are also seen to be eligible to receive the update. We recently saw that a couple of Galaxy C series phones received the Oreo update in China. Besides smartphones, even a slew of tablets appears to be mentioned in the list. The image shows the Galaxy Tab series, Galaxy Tab S2, Tab S3, Galaxy Tab A (17), Galaxy Tab A (16), and Galaxy Tab active 2.